Well I have found a pair of pants I want to live in. 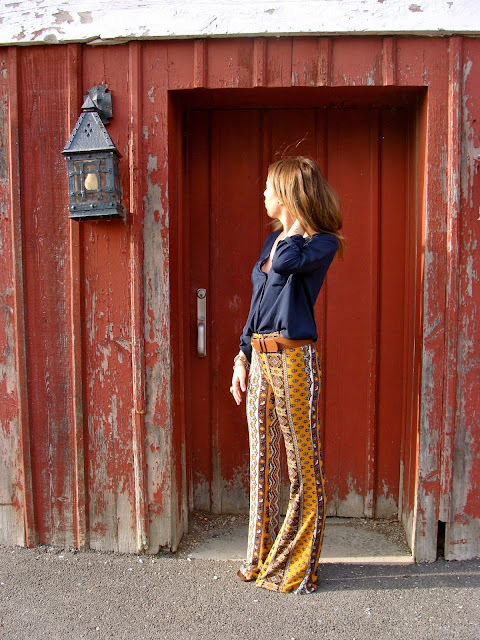 I have been obsessing over a few bell bottoms lately but I was nervous to drop big bucks just in case I turned out not to be a bell bottom lover. So when I found this pair at Forever 21 for 17 bucks I knew I had to have them! 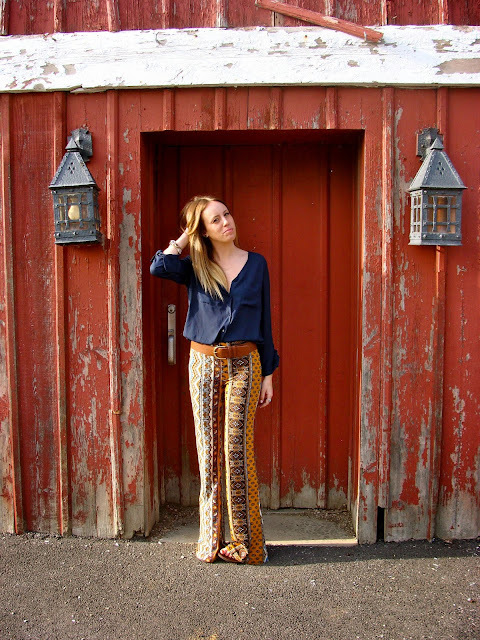 I cant wait for summer to pair them with flowy tanks and lounge in the sun. 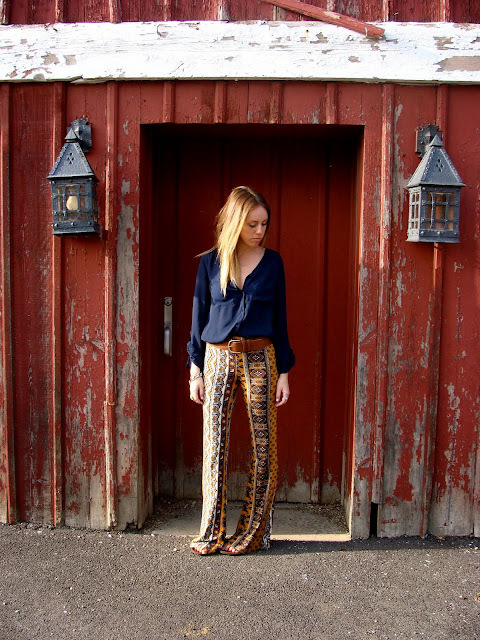 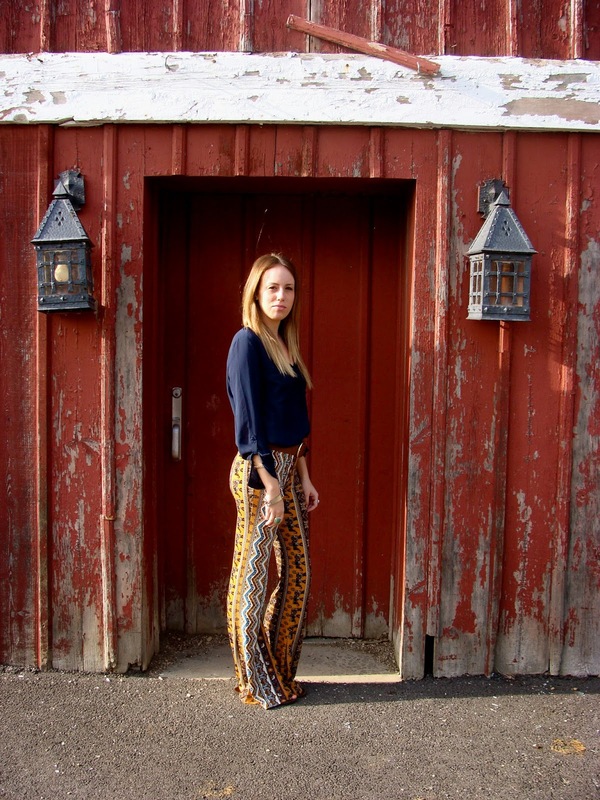 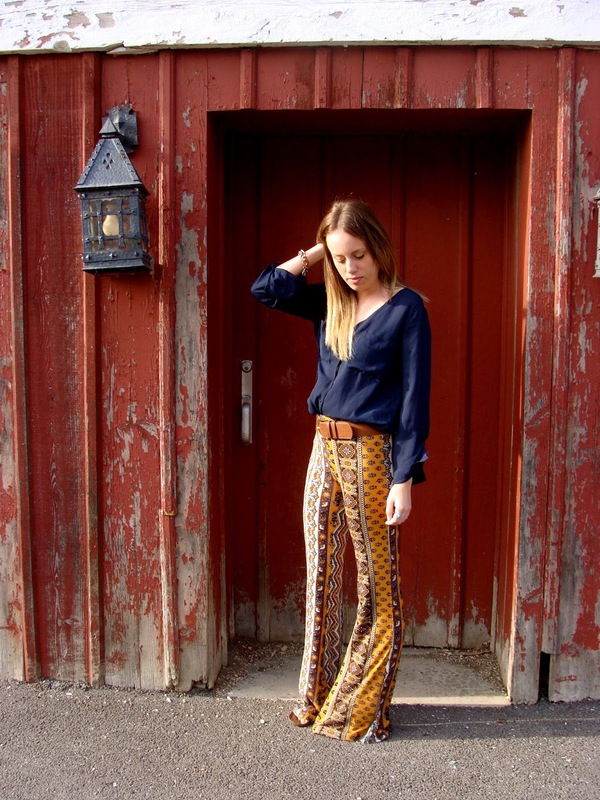 Gorgeous printed trousers! 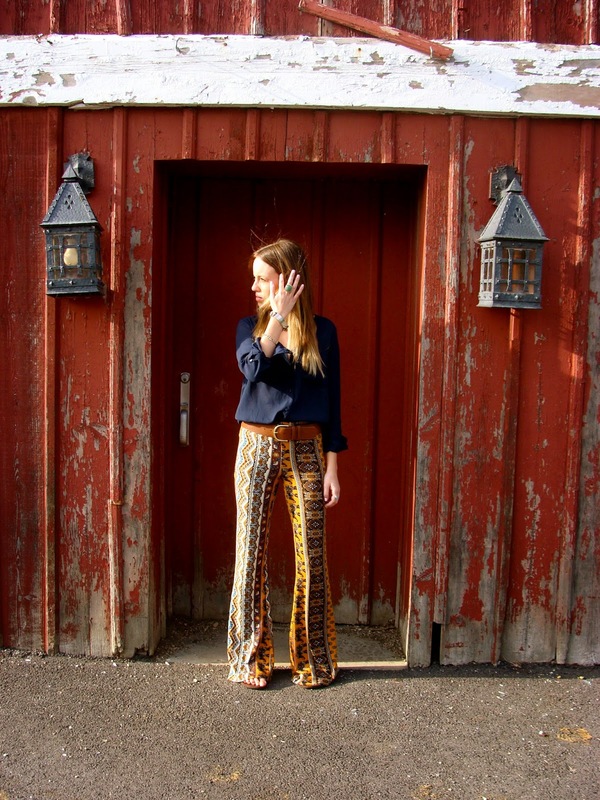 I'm a fan of 70s inspiration!